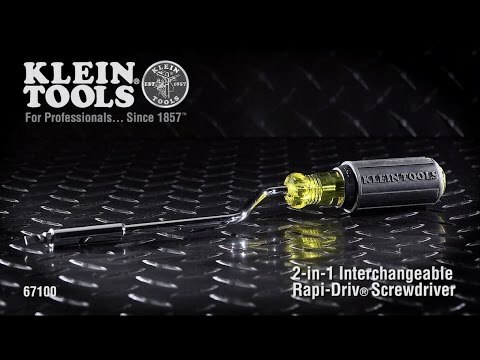 The Klein Tools 2-in-1 Interchangeable Rapi-Drive® Screwdriver offers the convenience of two tools in one. The interchangeable blast finish bit features the most popular tip sizes, eliminating the need to carry multiple drivers. The unique Rapi-Drive® design secures screws in 33-percent less time than a standard straight blade screwdriver.